This 18-19 season, YongPyong Resort will hold “The 37th YongPyong International Ski Festival”. 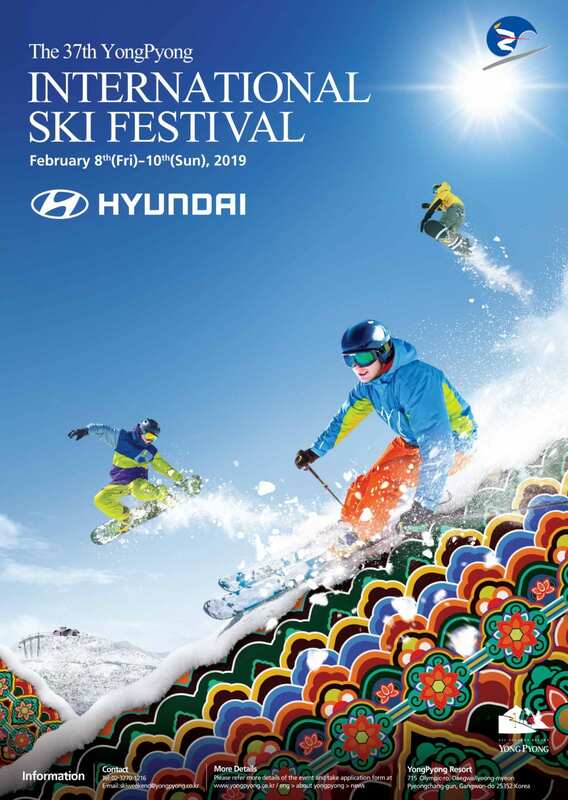 The YongPyong International Ski Festival is a winter sport event for foreigners living in Korea. This event was first held in 1983 for the development of the domestic ski culture as well as promoting good fellowship amongst foreign residents stationed in Korea. The Festival takes pride in being the nation’s only international ski festival, with approximately 300 participants from 25 different countries taking part each year. The Festival is scheduled to begin on 8th of February and ends on 10th. This year we will be collaborating with Gangwon Province to have Curling competition. The Festival contains events such as the Giant Slalom for Ski and Snowboards and Curling competition. Anyone age 9 and above are welcome to participate in the festival. All events will be divided into age and gender groups. Also, all participants will have discounts on accommodation, lift tickets, and rental equipment.